Χάρη στην ποιοτική διαμονή και την άριστη εξυπηρέτηση του The Morning Minihouse Aonang, στην επίσκεψή σας σε Krabi θα νιώσετε σαν στο σπίτι σας. Από εδώ, οι επισκέπτες μπορούν να έχουν άμεση πρόσβαση σε όλα όσα η πόλη έχει να προσφέρει. Με την βολική του τοποθεσία, το ξενοδοχείο προσφέρει εύκολη πρόσβαση στους προορισμούς της πόλης που πρέπει οπωσδήποτε να δείτε. Το The Morning Minihouse Aonang προσφέρει επίσης πολλές εγκαταστάσεις για να εμπλουτίσετε την διαμονή σας στη Krabi. Οι πελάτες του ξενοδοχείου μπορούν να απολαύσουν υπέροχες δραστηριότητες όπως τα δωρεάν WiFi σε όλα τα δωμάτια, ημερήσιος καθαρισμός, υπηρεσία ταξί, υπηρεσία εισιτηρίου, φύλαξη αποσκευών. Το ξενοδοχείο διαθέτει 12 όμορφα διακοσμημένα δωμάτια, πολλά από τα οποία περιλαμβάνουν κρεμάστρα ρούχων, δωρεάν καφές φίλτρου, δωρεάν τσάι, καθρέφτης, πετσέτες. Εξάλλου, το ξενοδοχείο διοργανώνει πολλά ψυχαγωγικά δρώμενα έτσι ώστε να έχετε πολλά πράγματα να κάνετε κατά τη διαμονή σας. Απολαύστε τις ασύγκριτες υπηρεσίες και μια πραγματικά περίβλεπτη διεύθυνση στο The Morning Minihouse Aonang. 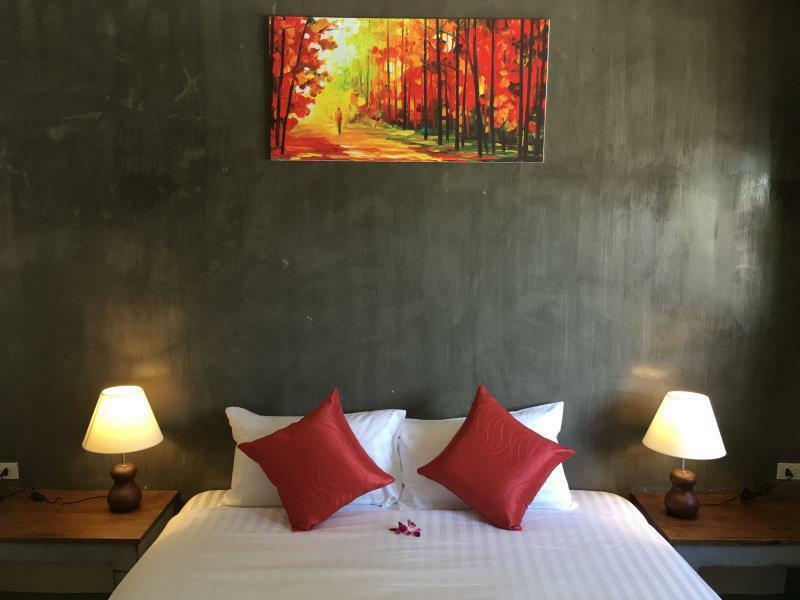 The hotel is located at a slightly long but pleasant walking distance from AoNang beach with one of the night markets en route. 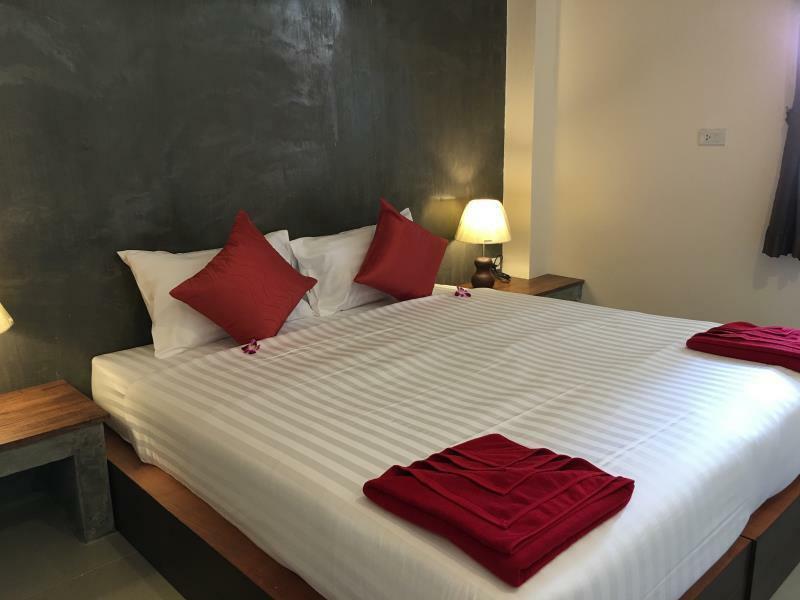 Rooms are lovely with all facilities mentioned on Agoda provided. What's not on Agoda are the hosts. Oat and Lynn are the best hosts one could ask for. They made us feel welcomed and at home. They guided us with the itinerary based on some pre planned activities. Also helped us in booking the package for emerald pool and ferry to Phi Phi at market price and even dropped us to the pier. Lynn provided freshly cut fruits while we waited for pickup at the hotel reception for an activity even though it was not a part of the deal, the little geastures that makes a place stand out fron the rest. There might be hotles closer to the beach but I would strongly recommend staying at this hotel for an amazing stay. Excellent location walking distance to two of the best restaurants in or around Ao Nang (Umberto's and Carnivore). All facilities you'll need and great value, but BY FAR the best thing is the young couple who run the place. I cannot say enough good things about how helpful and sweet the owners are. Thanks to the friendly host for the recommendations and tips about where to go about in krabi. Telling us which area you should avoid from getting rip off. Room were very clean. 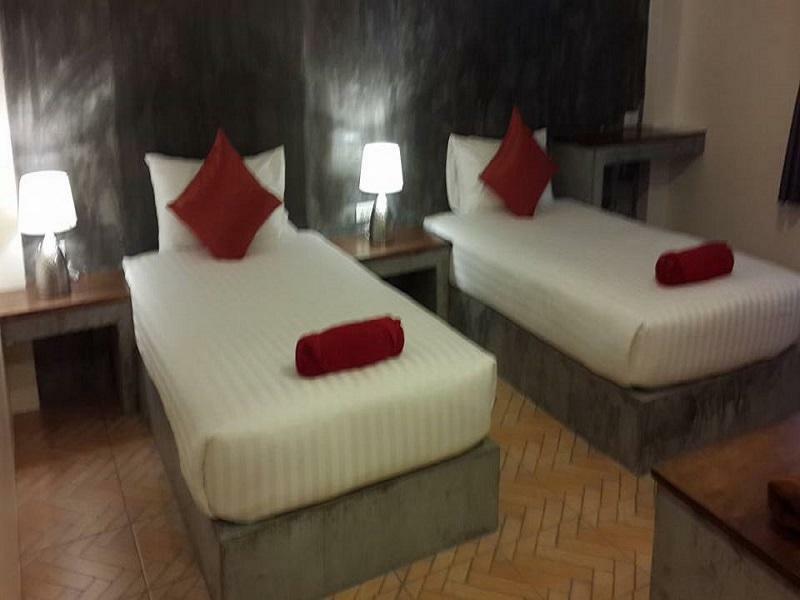 This is more like a guest house so no swimming pool etc, just a place for you to have a comfortable sleep. Breakfast is freshly made on the spot. I recommend you to rent a bike to move around krabi cause from hotel to ao nang beach may take about 10-15mins walk maybe more. This property is like home and the owners are so helpful, they help you with everything and make sure you have the best experience. Not a commercial property rather a friendly environment with 2 cute dogs. 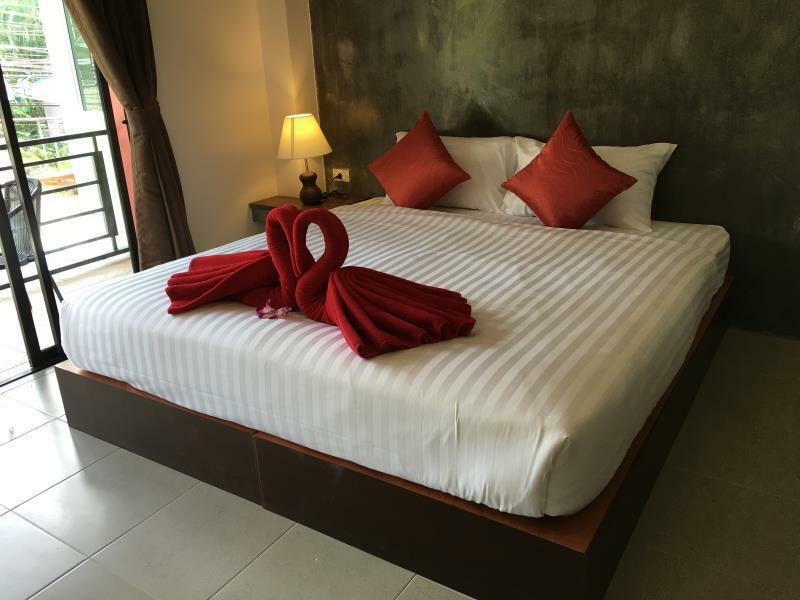 If you are not looking some lavish resort or hotel then it’s best choice in Aonang. This hotel is just THE BEST!! 🙌🏻💕🐶😍 So much value for money. First of all, the owners are lovely people, they make you feel welcome and the puppy in the reception is soo cute. 🐶 Ask them for anything, and they will help you. At first glance the hotel and the room seem a bit simple and the reception a bit dull (we been leaving at 4 star hotels before this room) but this will grow on you during your stay. Also its I bit walk to the Main Street and the beach, but it’s ok. We thought we would have to take tuk tuk but we only did that ones. It’s nice with a walk. Rooms are tidy and the bed is soo comfy! 👌🏻 Highly recommend! The owners were very helpful. My wife and I were not feeling well when we checked in and they drove us to a pharmacy so we could get some medicine. The hotel room was clean and modern looking. The bed was comfortable. The hotel is about a ten minute walk from the town. Great place to stay with helpful friendly staff. Rooms were nice. Bathroom also deserved a mention as the shower is particularly good. Made bed for us everyday without asking which was also a bonus. Little far from the beach, about a 15-20 minute walk but not too bad if you hire a scooter like me and my partner did. Definitely recommend. You need to stay here to appreciate the welcoming actions of the hosts. They were by far the best hosts we've had in Thailand. we stayed in a deluxe room which was really clean and spacious. The proximity to to town is not bad if you don't mind walking about 5 to 10 minutes. Our hosts helped us with three different tours, and I will transfer shuttle to Krabi Airport. They also recommended different places to eat and to go (night market on Wed) and offered us rides in their tuktuk to the town and the beach to catch a longtail boat to Railey beach. 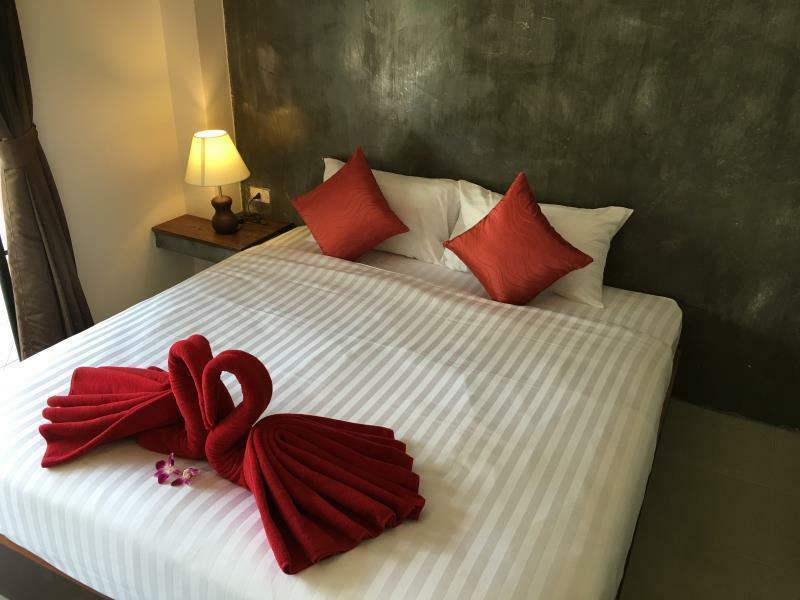 We would not stay anywhere else in Ao Nang... and neither should you, reader of this review. The room was simple but good, the bathroom was clean and we had fresh towels every day. Our room was a bit noisey though. If you're looking for a place to just sleep and have good breakfast this place is perfect! The owners are very helpful and can recommend you a variety of choices for every activity. Restaurants in the neighborhood are good. Would definitely recommend this place and go again! Especially the very nice owners make a stay there special. They are very kind and willing to help you no matter the problem or the time of the day. They really want you to feel welcomed and save. Also the room was very clean and nice especially when you take into account the price. I would definitely recommend to stay there. We really enjoyed our stay here, the rooms are modern. The couple are amazing, they are both so sweet and helpful. They went out of their way to make our stay special. Close enough to the beach. Great experience, veru helpfull stuff. Strongly recommend this hotel. We loved this place and would definitely return. Lin & Oht (spelling?) were extremely helpful and friendly and made our stay so much more than just a place to sleep. They gave great advice without pushing sales. Day tour through them was less than brochure price. Booked moped thru company they suggested and felt confident knowing they trusted this company. We knew the location was not central when we booked but it was close enough to everything. They make delicious coffee and treats. A few restaurants and shops nearby. Oht (and Donut, their dog) gave us rides down to the main road turn off if available (usually) and we’d walk back or get tuk-tuk for 150 baht for 2. take a flashlight if dark. Our room looked out at water tanks which made quiet sound when in use, but it becomes background noise very quickly. Also, when shower is not in use, we would plug drain hole with plastic bag to stop odor from drains (common in Thailand). Blame it on plumbing and not cleanliness. 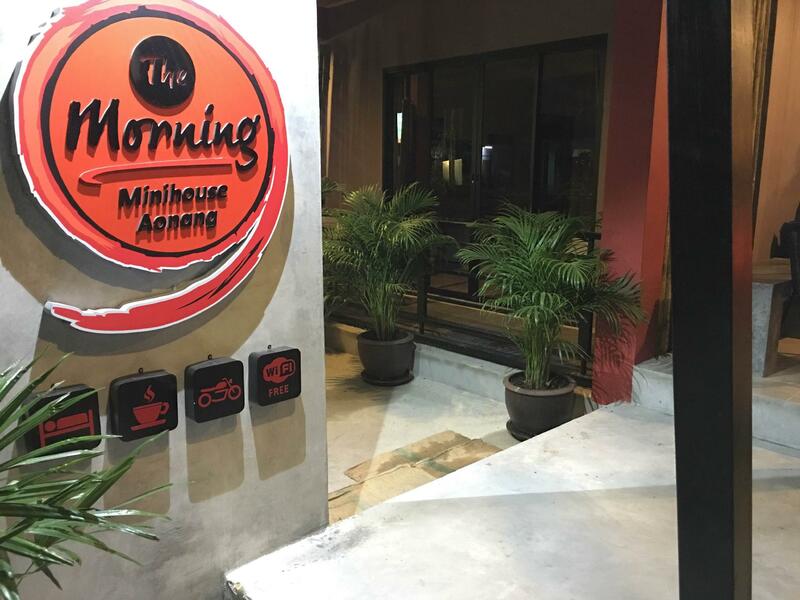 The Morning Minihouse is the best budget hotel we have ever stayed in Krabi. The owners of this hotel who were also the staff are very knowledgeable and they could give any information you need or want to know about. They are patient enough to explain all details and provide the best service. Everywhere of the hotel is clean as well. Location is not very far from the main street if you rent a motorbike (It's cheap) from them. A big thumbs up for them. This hotel is amazing. Location is not very ideal but it is okay as I want some quiet and peace,around 15-20 minutes walking to main area.Room is cheap but nice and clean. Owner and his wife is so kind,they provided options for tour and tell me which is best restaurant to go and all that. They also lend bicycle for me to go to the main area. During my check out time I had problem with my transportation and owner helped me as far as he can. Really recommended,they even email me that night to ensure I was okay.Amazing. “Oat” and he’s beautiful wife were absolutely brilliant! - recommendations/cost savings/directions and a genuine interest in your day! If I go back to krabi I won’t think twice about staying at the morning Minihouse ! Staff is very !!!!! kind !!!!! She was always thinking everything for us. She gave answer for every question of us with lots of patient with. I never see very clean and organized place like here. Everything was very very very clean. And they made our bed even without ask. She was giving very very good advices. They were always trying to give more than what they offer. Thank you so much.